With the rise of online shopping and the pressure of the busiest time of year coming around, retailers are finding ways to offer unique and memorable shopping experiences to customers both online and offline. While retailers have been investing in new technologies to stay ahead of the curve, some of the most memorable and sticky shopping experiences are created through the fundamentals — great store teams delivering an amazing guest experiences in store. However, as a manager, it is sometimes tricky to ensure that your employees comply with the in-store execution policy and actually complete the tasks assigned to them. In fact, we have found that lack of compliance can hurt your bottom line sales by as much as 90%. You can read about it here. The good news is that you can improve your retail communications by giving store teams digital tools and technologies that make store execution easier for employees, and compliance tracking easier for managers. The best way to educate your teams is through a robust store communication platform such as the one offered by Zipline. Even during the busy holiday season, seasonal employees should receive the same level of training as full-time staff to ensure all employees are prepared to handle customer interactions and deliver great customer service. From hiring to initial onboarding, the treatment of seasonal employees will mold their impression of your brand. Create brand advocates by making the seasonal employment experience as easy and enjoyable as possible. That being said, seasonal employees are not as familiar with your standard store communications systems, and training them on these platforms is not always an option. By using an intuitive retail communication solution such as Zipline, you can make sure that your seasonal employees understand what they need to do, and comply with your policies. Your in-store employees can make all the difference. E-commerce retailers may compete on price, but there is one thing they cannot deliver - the personal interaction between a store associate and a shopper. In order to make that interaction as smooth as possible, you need to be able to communicate changes to all your store employees in a timely manner. Make sure you have a policy that ensures compliance with all aspects of your store execution. Your employees need to be up to date on all promos, customer feedback and know the answers to frequently asked questions. This can be challenging with temporary employees. A good store communications strategy can make this seamless. Maybe you request all new seasonal employees to go through some training, or read a special manual for selling during the holidays. A solution like Zipline can make sure they actually read through the materials. Start staffing now. Despite all the changes the retail industry is experiencing recently, star associates will always be in demand. Retailers projected the highest number of hiring announcements in the first eight months of the year for any industry, at over 248,000 new hires. (Challenger Grey). However, this demand may not come from the traditional retailers, and your offering may need to compete with that of other non-traditional retailers. Amazon added 120,000 seasonal positions in 2016, up from 100,000 in 2015, “to support growing customer demand” (Time, 2016), and if you are operating in one of the areas that has fulfillment centers, you might face a hard hiring situation. Promotions are key to retail success. Over one-third of shoppers from the NRF Holiday Trends survey said that all of their weekend purchases were specifically driven by promotions. There are several things you can do to make sure you are efficiently executing your promo strategy. First, you can empower your seasonal sales staff to develop lasting relationships with customers during the peak of holiday season by making it easy for them to know when promotions or special deals before they go out on the sales floor. A retail communications solution that your seasonal staff can operate easily can be key to ensuring your promo strategy is flawlessly executed. Also, your regular full-time employees may know when and how often promos change, but it may not be as obvious to seasonal staff - hold a briefing session before employees go out on the sales floor or have the information on hand in the backroom. 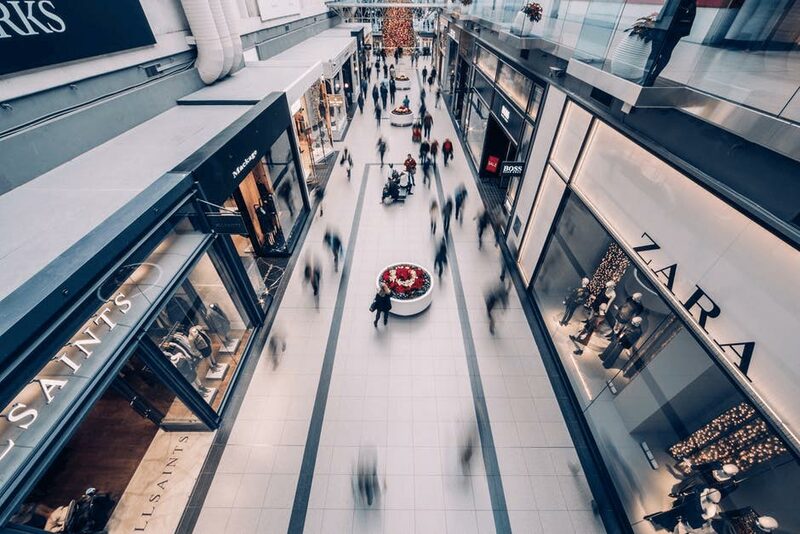 Evolving technologies and omnichannel strategies are top of mind for most brick-and-mortar retailers, but traditional sales floor strategies still are a crucial part in a customer’s journey. To stay competitive with e-commerce giants like Amazon during the holiday season, ensuring that knowledgeable store associates are delivering personalized in-store customer service is essential.